to perpetuate the memory and spirit of the men and women who achieved American Independence. This museum features outstanding collections of decorative and fine arts made or used in America between 1700 and 1850. 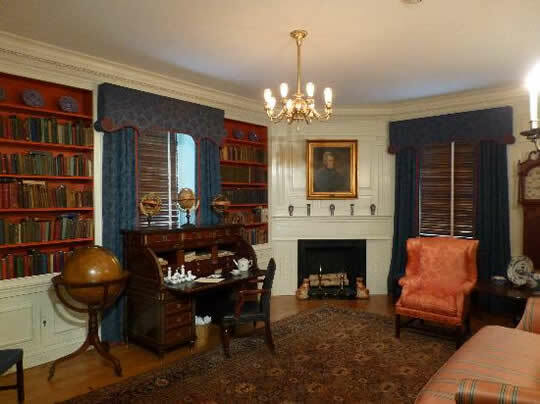 Thirty-three State Period Rooms and two galleries represent a particular historic period or region. The rooms include a 17th century New England one-room house, an 18th century tavern and a 19th century kitchen. A late 19th century attic is filled with children’s toys. The Michigan Room (shown below): The Michigan Room is on the second floor of Memorial Hall at NSDAR headquarters in Washington, D.C. and was established in 1909. It presents a colonial library of the Revolutionary Era. This view of part of the room shows a desk made in France by Joseph Stockel between 1775 and 1803. It is made of mahogany and enhanced by gilt brass mounts. Bessie Chichester became a member of the John Alden DAR Chapter in 1928. She was a good friend of Grace A. Dow, the founding Regent of the Chapter. Mrs. Chichester loved collecting dolls. She had over 200 which she willed to the John Alden Chapter at her death in July 1954. 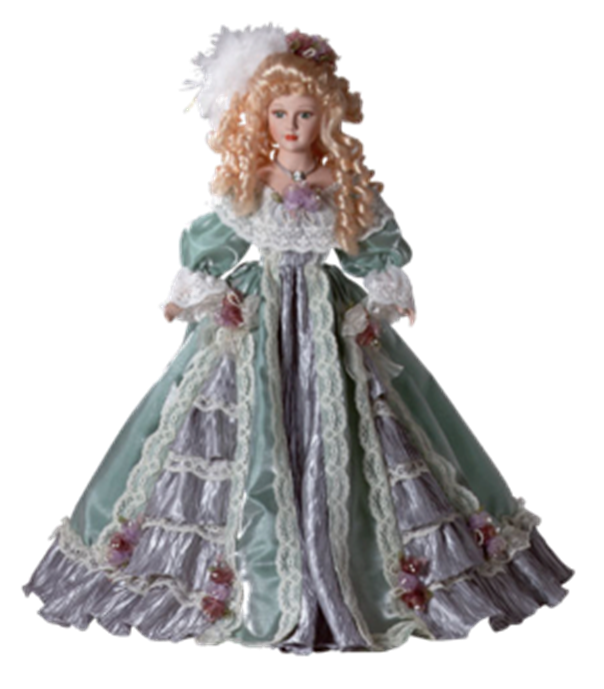 These dolls consist of many in their original costumes as well as others for which Mrs. Chichester created the clothing and sometimes even a personality. The dolls range from funny little creations such as a gremlin dating from the war years to a portrait doll of the famous "Blue Boy." Many are character dolls from other lands. One doll started from a china head which Mrs. Chichester purchased many years ago and outfitted with a body and specially hand-made clothing. Alden B. Dow, son of Grace and Herbert Dow, was the architect who designed the Grace A. Dow Memorial Library. He created glass showcases in which the dolls could be displayed. Chapter members enjoy knowing they are there. It is also a pleasure knowing that the display has been enjoyed by a couple of generations of children who visit the nearby children's room. Wilma Diesen has spent extensive time researching each doll. We enjoy hearing Wilma's tales of some particular doll or doll maker when she shares a "doll report" at our meetings. One of our recent "book" events was a program given by Midland author Jody Hedlund, who writes historical fiction based on real characters and their adventures in times past. She gave us insight into her journey as an author.